It’s a good week to be a former sixth round draft pick by the Blackhawks. On Sunday the Hawks signed forward Dylan Sikura, a sixth round pitck (#178) in the 2014 NHL Draft. On Monday, Chicago formally announced the signing of defenseman Joni Tuulola, who was a sixth round pick (#181) in the 2015 NHL Draft. 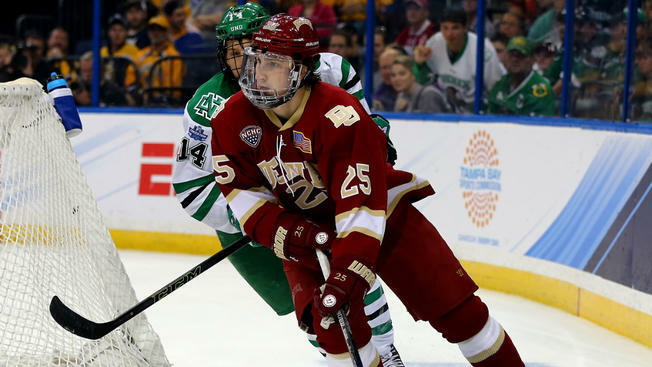 And reports late on Monday are that Denver defenseman Blake Hillman, a sixth round pick (#173) in the 2016 NHL Draft, will opt to forego his senior season and sign an entry-level contract with the Blackhawks. Scott Powers at The Athletic had the news first. Hillman, 22, is a left-handed shot who developed into a key member of Denver’s national championship team last year. His junior season ended Sunday after he registered 12 points and 52 penalty minutes in 41 games for the Pioneers. Hillman is listed at 6-1 and 184 pounds. Building for the future!! Nice ? Good news-we have a lot of offense first prospects, this guys seems to be responsible first and his confidence with the puck is growing. Good hockey name for us older guys. Mitchell- imo- was most impressive with Puck on stick /O side. Good to get these guys on contracts for next year and be exempt for expansion draft, if they develop into good nhl players. Sikura was different had to do what had to be done. Hopefully I’m wrong but Hillman seemed like just “a guy”. Still young enough to get better I suppose, but so far meh. At least he’s a lefty. Good to see. Hopefully he develops into an NHL contributor. Just heard — Berube waived??? if true… may be UFA goalie signing soon??? Check our latest post. Yes, Berube is on waivers. Glass was also named the team’s Masterton nominee for this year. Probably a swap of the 2 coming soon. 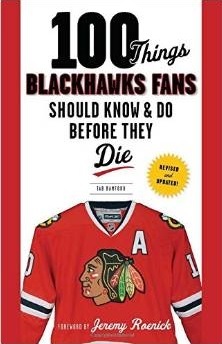 Agree Tab likely Glass coming up or if not Delia from Rockford.